William “ Billy “ Garraty William Garraty was Born to Francis (born 1853) and Matilda (nee Holmes) on 6th October 1878 in a back to back property at the rear of Number 30 Dollman Street, Aston, ( now days comes under the district of Nechells ) Birmingham. 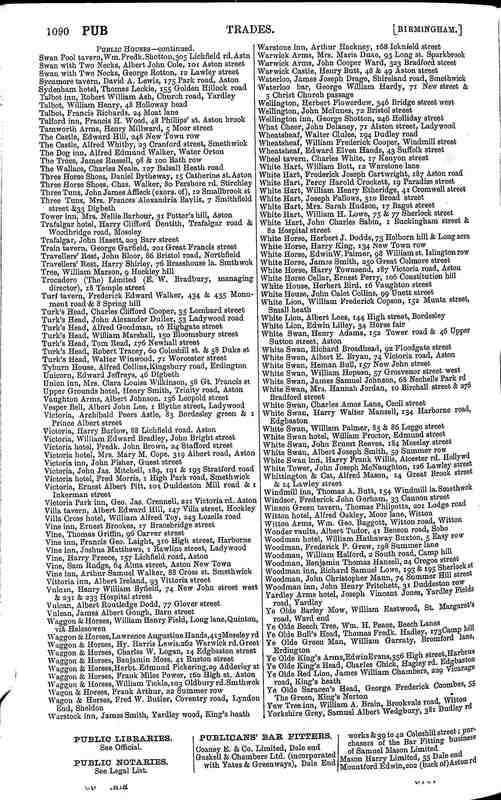 Registered as GARATY in Aston, December 1878. In the 1881 Census William Garraty’s (Garrity in census)) Father Frank is listed as an “Engine Fitter” by trade. 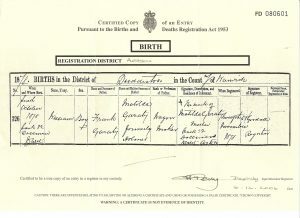 Billy had 7 siblings who were all listed on the 1901 Census whilst the family lived at No 19 Hall Rd, Saltley, Birmingham ironically maybe 50 mtrs from his final resting place 30 years later. The census shows Francis ( Father ) 48 Matilda ( Mother ) 47 Annie 27 Frank 24 William 22 Lily 20 George 18 Edith 15 Florence 13 Beatrice 9 Unfortunately for the family Matilda died later on in the year on 10/12/1901 aged 48 after a long illness (source Birmingham Daily Mail). Sometime after this date, Billy married Annie Shufflebotham on 4th April 1908 at St Nicholas Church in Kings Norton (registered in Kings Norton June 1908.) Address stated as 279 Franklin Road and vocation stated as professional footballer. 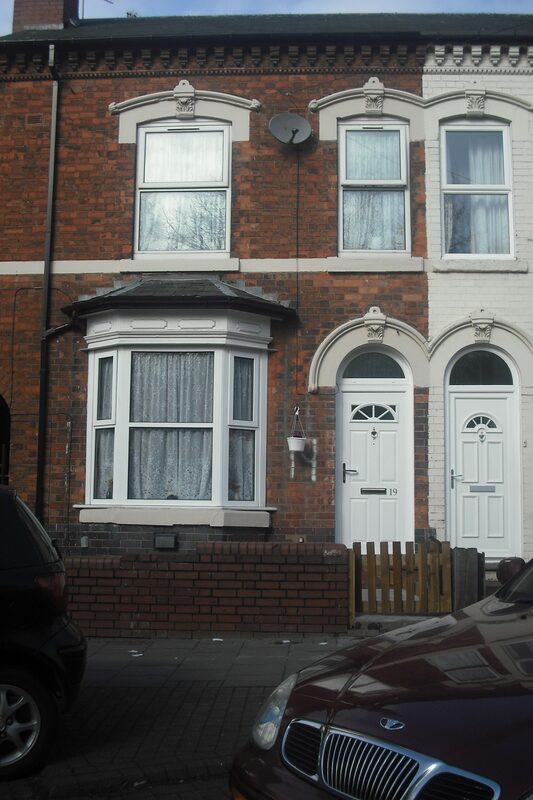 Annie lived at 81 Ellesmere Road in Saltley. 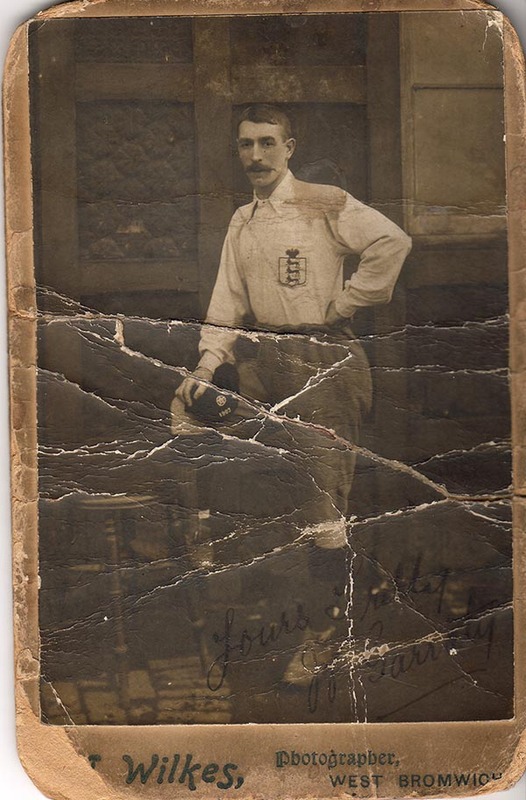 According to the 1901 census, William, along with seven other footballers are visiting Blackpool and staying at the Station Hotel on Talbot Road, Blackpool. His family home i listed at 19 Hall Road in Aston, where he is also stated as being a professional footballer on the census return. His father is now a railway engineer. Again his sir name is spelt differently on the census. 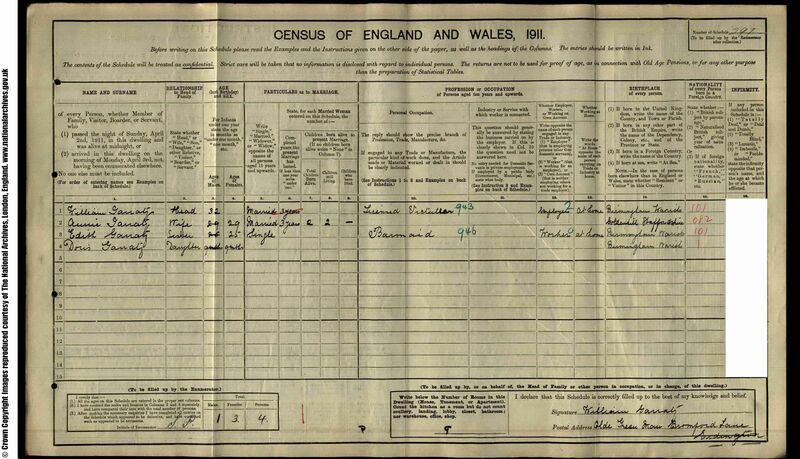 In the 1911 census, William is now married to Annie and has a daughter a daughter – Doris (Born 1910) who was apparently born upstairs in the Ye Olde Green Man in Bromford Lane in the Erdington area of Aston according to my Mother. Doris is listed on the census at 9 months old, along with William Age 32 Licensed Victualler, Annie 29 and Edith (Billy’s sister) listed as Barmaid Age 25. Billy was now the Landlord of the “Old Green Man” public house see above which is apparently the oldest building still standing in Birmingham and is called the “Lad In The Lane” See http://en.wikipedia.org/wiki/Lad_in_the_Lane. 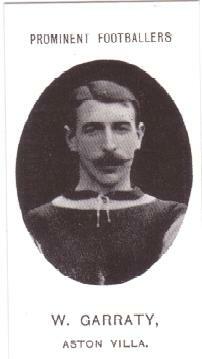 He was also registered to No 17 Alleyene Rd, Erdington, Birmingham in the 1912/13 Register of Electors. Billy had 8 children as follows: Muriel, Nelly, Doris, Gwen, Fred ( Jack to his family) Eileen (Lillian to the Family) Cecil and Eric. Misfortune struck when Billy’s wife died shortly after the birth of the youngest child. As a result my Grandmother Eileen (Lillian) lived at the Villa Tavern next to Villa Park with one Billy’s siblings she was apparently around 14 years of age when she arrived there. At the time of his death Billy Garraty was living at 22 Brookhill Road, Alum Rock, Birmingham, which is still standing (photo coming soon). According to Midlands Electoral Records, William and Annie were living at 22 Brookhill Road in Erdington from at least 1920 until his death in 1931. He died at 77 Dudley Road, Birmingham aged 52 years 212 days (registered in Birmingham North june 1931) of Pneumonia. 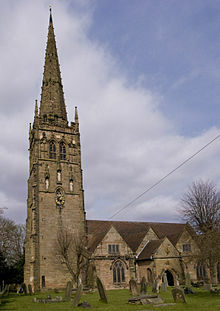 Billy was buried in the family grave at St Saviour’s Church in Saltley, Birmingham which ironically looks over to 19 Hall Road, from the main entrance. Whilst carrying out extensive research into the location of the family grave I have established that it was totally destroyed by German bombers who were targeting the nearby Saltley rail sidings. As a result of perhaps a stray bomb, the Church graveyard was hit around 1940/41. I have arrived at this date as research shows that there were bombings in nearby Ash Road and two houses bombed which resulted in fatalities. 19/11/40 (no.153) and 10/4/41(no.53). As a result of the direct hit, a massive crater was left embedded into the cemetery grounds (next to the vicarage) along with one of the large ornate stain glass windows being blown out.